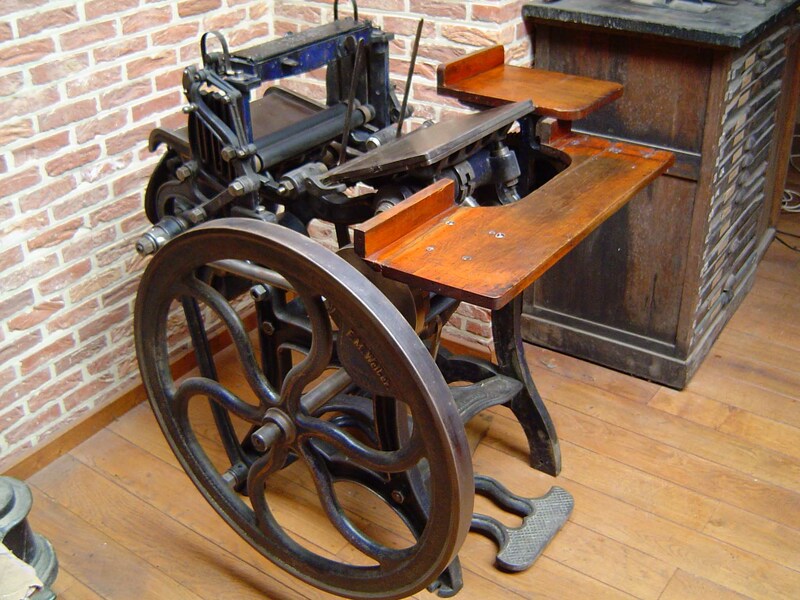 Herwig Kempenaers is a private collector (and user) of printing equipment who lives in Belgium. 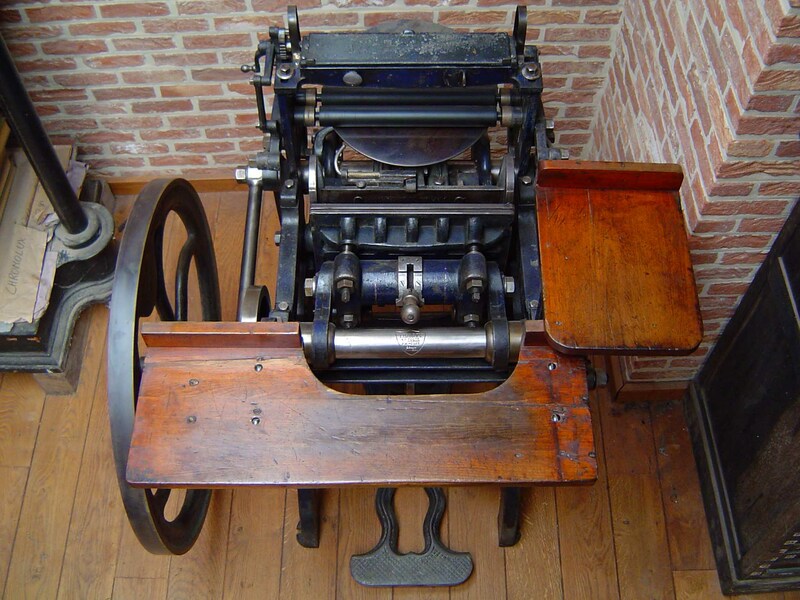 His collection includes an 1827 Stanhope press, an Uytterelst handpress from 1880, Uytterelst (1890) and Alauzet & Tiquet (1880) stop-cylinder presses, several platen presses, a Hickock paper ruling machine and lots of other printing and bookbinding equipment. In the spring of 2005, Herwig opened his collection for viewing by visitors. 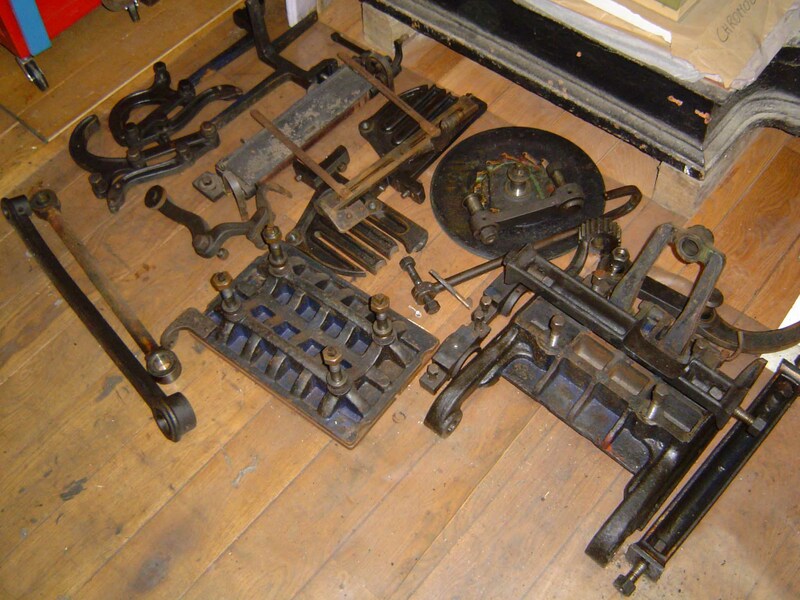 You can see more of his collection on his Web site Historische Drukkerij Turnhout. His Liberty press (serial number 14631) is shown at the upper right of this page. 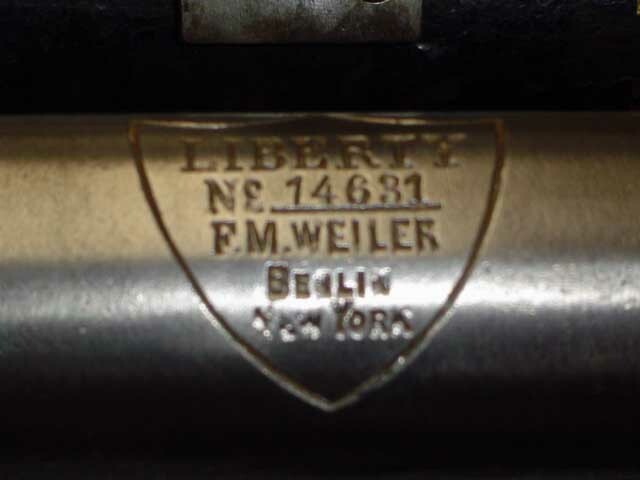 It's a model 2A, with chase size of 26 x 38 cm (9 x 13 inches) and it carries the "F. M. Weiler / Berlin / New York" logo. Thanks to Herwig Kempenaers <info@historischedrukkerij.be> for material used to create this page. Herwig provided scans of Western European advertisements for Liberty (or Liberty-like) presses along with their descriptions. 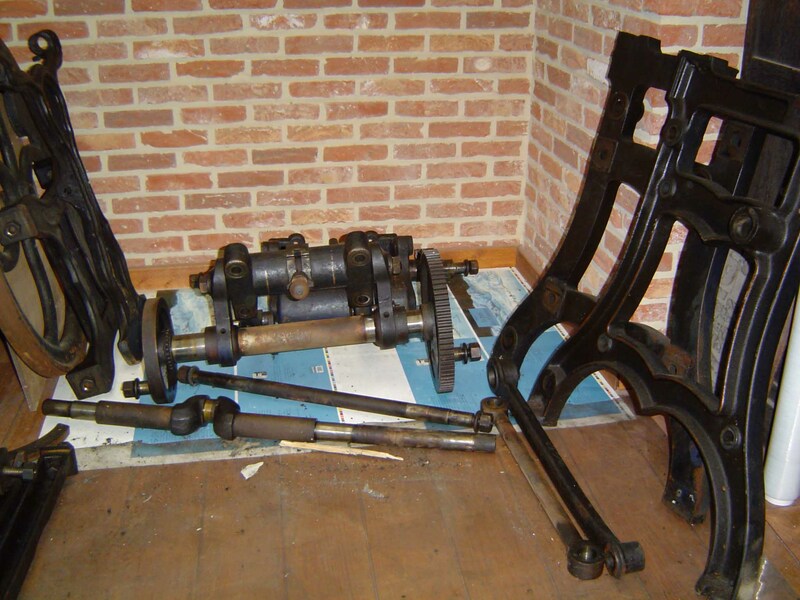 He also sent pictures and descriptions of a Liberty Press at Darmstadt, Germany.